Home/Blog/Why do I need an expert witness? When you enter into a medical malpractice lawsuit, you are committing yourself to an outlay of time and money. Whether you are an attorney or a potential defendant or plaintiff, it pays to know as much as you can before you launch a case or bring it to trial. An expert witness isn’t just someone who takes the stand during a court case to offer informed testimony. An expert witness is invaluable before there’s even a case to bring to court. The expert can help you decide whether it’s worth launching a case or help point out the aspects of a case that make it worth pursuing. The expert can help an attorney evaluate evidence and prepare the prosecution or defense of a case. “You need a medical expert to interpret a medical chart and then explain it to the client so that he or she knows what’s going on in the medical record,” says Dr. G. Edward Mallory, a board-certified physician who has been practicing emergency medicine for more than 20 years. 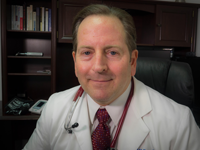 Dr. Mallory’s experience, both in his medical practice and in reviewing cases for attorneys and clients, make him the ideal choice to interpret these records and point out the flaws and merits of a malpractice case. If there is evidence of malpractice, Dr. Mallory can use the medical records to point out what a doctor did wrong and what a doctor did right. If an attorney and client have a theory about what a doctor may have done wrong, Dr. Mallory also can pinpoint any flaws in logic the theory may have. When pursuing any such case, he says, attorneys and clients need an expert to testify if there’s malpractice and to interpret and explain the medical record. An expert can speak knowledgeably about standard of care, informed consent, medical equipment, drug interactions, proximate cause, diseases, conditions and more. An expert witness may also help an attorney prepare for depositions of the plaintiff, witnesses, doctors and opposing experts. Dr. Mallory is always available to speak to attorneys, plaintiffs and defendants about the merits of a case. Ultimately, engaging the advice of an expert witness can save money and time. If a case doesn’t have merit, the expert can save clients the money they would have spent on consultants, attorneys and filing fees. If it does have merit, the expert’s insight can outline a path for going forward with the case. By Edward Mallory| 2015-06-19T13:44:07+00:00	June 26th, 2015|Blog|Comments Off on Why do I need an expert witness?